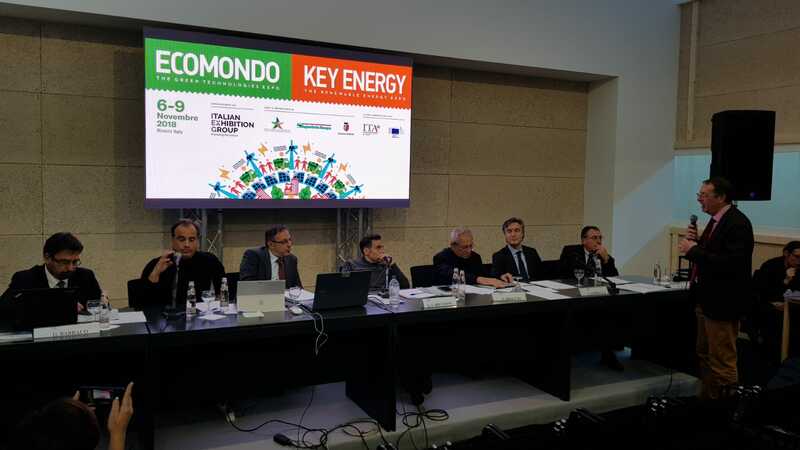 On the 8th of November, the Bio4A project was introduced in the context of the workshop “Biofuels for transport and REDII: which perspectives for 2020-2030?” held at Keyenergy, Ecomondo green technologies expo in Rimini, Italy-. The workshop was organized by RE-CORD/ART Fuels Forum, the Kyoto Club, CIB, FREE and ETA Florence to address the challenge being represented by the decarbonisation of transport sector both at the EU level and globally. A moment from the final panel discussion. David Chiaramonti RECORD, BIO4A project coordinator, presented the status of RED II after the Trialogue negotiations, its current gaps and how RED II could impact on different biomass conversion technologies and biofuel production. 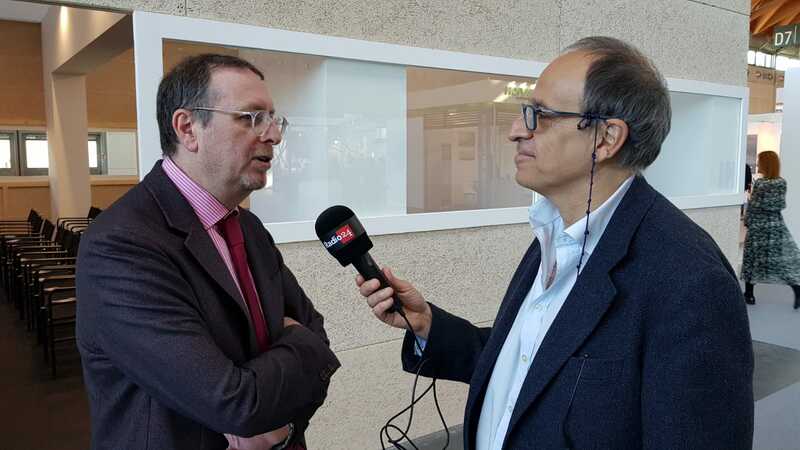 David Chiaramonti interviewed by Radio24 at Keyenergy, Ecomondo (Italy). The workshop was also an opportunity to learn about other important Italian initiatives in the field of sustainable biofuels. Alessandro Carettoni, Italian Ministry of Environment and Protection of the Territory and the Sea, introduced the draft of the integrated National Energy and Climate Change Plan which will be submitted to the European Commission before the end of this year. Find the BIO4A presentation “The EU Alternative and Renewable Transport Fuel Forum and REDII. Focus on Aviation Biofuels: the BIO4A project” by project coordinator David Chiaramonti. Stay tuned for more info on next Bio4A events!